Use these archery techniques to reach your goals! 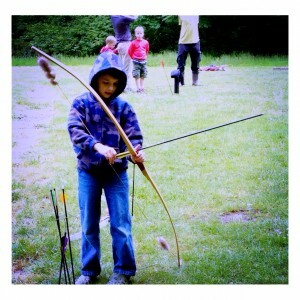 This weekend we took the kids to an archery event sponsored by Rewild Portland. A number of families showed up for the event as well as a few regulars to the archery range. As we reviewed the elements of teaching our children about archery we realized that there are a number of parallels between getting an arrow on to the bull’s eye and reaching goals in other areas. You must choose the equipment that fits your goals and style. Archery can be as simple or as complex as you want it to be. From a simple bent stick and a string, all the way up to computer designed, precision machined bows with dual or single cams sporting vibration reduction equipment shot with a mechanical release. Both ends of this spectrum can be used to effectively launch arrows with surprising accuracy. In reaching your goal, there are most likely a wide variety of tools that you can use that very from simple to complex. Most people naturally feel that the more complex a tool is, the more useful it is. This is not always the case. Many times even the most complex tools are not used to their fullest capacity. Often a simple tool will work just as well, be less distracting, easier to learn and cost less than the more complex choice. Based on your equipment and style, adopt the correct stance. The archers stance is all about using their mental and physical strengths to get the arrow to the target. 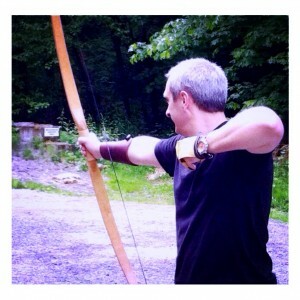 In archery there are subtle changes in the archer’s stance depending on what type of bow they are shooting. An archer that is hunting with a simple bent stick while tracking his quarry on the ground will be better served with a more crouching stance while holding the bow leaned over at an angle. The modern archer that is hunting with a compound bow from a tree stand will need a very different stance. Finally an Olympic archer that is shooting at a target at a known distance and requires the very best accuracy will have their own unique stance. When preparing to hit your goals, first understand what your strengths are and how to best use them in the context of your goals. Is this something that can be done quickly, with little planning that has a high likelihood of being successful? Know your target and the distance to that target. The archer must understand the difference between a target that is likely to jump at the sound of the arrow leaving the string and a target that will remain steady regardless of what is going on around it. Only by understanding the target can the archer hope to achieve their goal. Even when an archer knows their target, they must still gauge the distance to that target if they hope to hit it. When working towards your goals, you must understand exactly what the goal is. Will the goal be moving as you make progress towards it? Will it be dependent on the time of year, or on the weather? Will your goal be affected by outside influences? If so, have you accounted for those influences in your plans? How long can you expect it to take you to achieve your goal? Have you ever achieved something of this magnitude before? If not, can this goal be broken down into smaller, more familiar steps? It can be discouraging to arrive at the dock only to find that the boat has already sailed. Aim big, miss big; aim small, miss small. Not only must the archer know their target, they must be able to focus on the smallest part of it in order to hit their mark. The archer does not aim at the hay bale. They aim at the postage stamp sized piece of the target in the middle of the bull’s eye. When you are focusing on your goals are you general and vague, or do you see the very finest of details in those goals? Is the goal to loose weight, or is the goal to loose 10 pounds of fat, gain 3 pounds of muscle by eating right and exercising 30 minutes each day for the next 12 weeks? Which goal has the right focus? Put enough energy into the bow to ensure you will reach your target. Once the equipment has been chosen, the correct stance adopted, the target identified and the focus placed on the right area, the real work begins. The archer now uses all of these elements as they put the physical effort into drawing the bow. This is the energy that will result in the arrow reaching the target, hitting where the archer is aiming. In achieving your goals, this is the writing of each paragraph of the novel. This is the late nights of making that prototype or writing the code for the killer app. This is the mental and physical effort that every worthwhile goal will require. Loose the arrow to the target. When the archer has reached their full draw and the bow is storing all the energy it can, the arrow is lined up on the target accounting for wind and distance, then the string is released and the arrow sent on its way. The potential energy of the bow and archer is converted into the kinetic energy of the arrow. Giving the arrow flight to fight wind and gravity in order to reach the target. The archer must be careful though, not to hold the draw for too long. If they do, they will start to fatigue and their accuracy will quickly diminish. 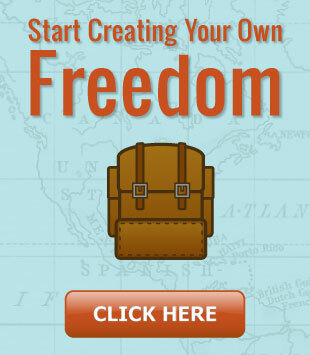 This is where you have to publish, ship or execute your plan. This is where all of your planning, hard work and effort come together and produce results. Without this step everything that has come before would be wasted as potential energy. This is the step that turns that potential into kinetic, tangible results. Don’t delay unnecessarily though. The correct form will help ensure proper accuracy. By maintaining the correct follow-through on the shot, the archer ensures that the action of the bow does not have a negative effect on the flight of the arrow. After you achieved your goal, what can you do to make sure that everything has been completed? Are their follow on tasks that would be best completed at this time? Thank you letters to write for those that helped? Plans to be made for the next step? If you have momentum, kinetic energy, don’t let that go to waste. Build on each step with another step. By utilizing these 7 steps, you will be able to hit your goals like an arrow in the bull’s eye! ← What Do You Do When The Bottom Falls Out? 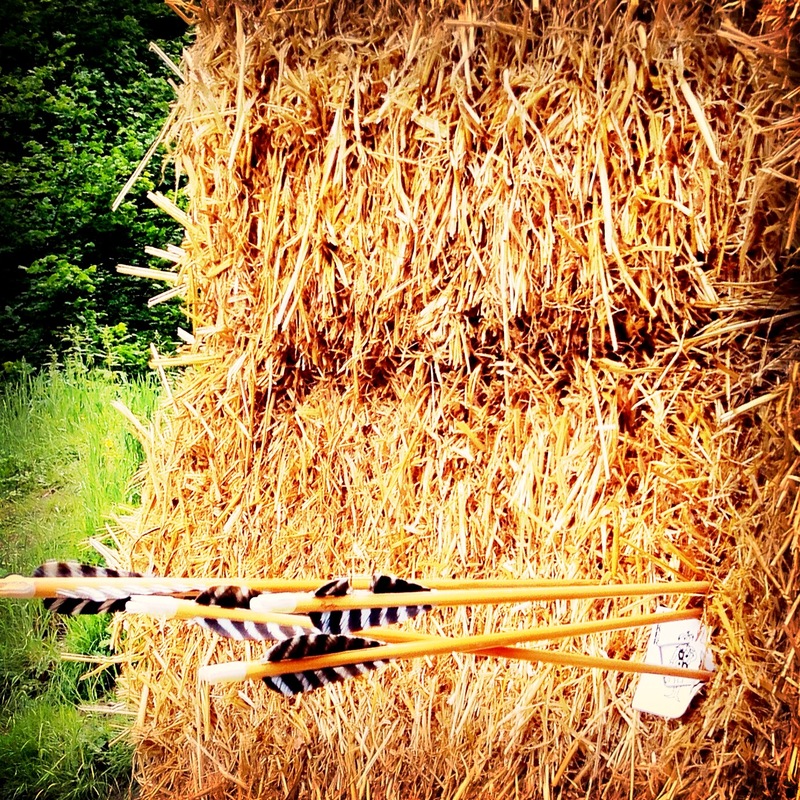 4 Responses to 7 Steps To Hitting Your Target! As an archer myself (compoind bow), I love this metaphor. It applies perfectly to how to acheive goals. All the steps are required, and they are all required to be done with fully-conscious and conscientious order. Do you get to use your bow much? My bow has been staring at me from the corner for way too long. 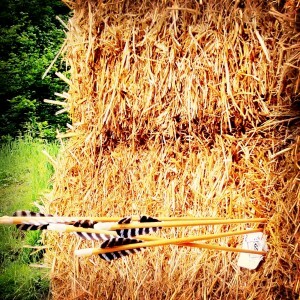 Now that my son is interested, I’ll have a reason to get out and fling arrows more often. Thank you Mike for sharing this post today. Life’s lessons on Goal setting. Instructions to follow daily in hitting the target. So appreciative. Bless! Thank you for stopping by and for your kind comment.